Since the mid 1980s, the SIG Sauer P226 has been the semi-automatic handgun of choice for many police and military units around the globe… including some of the most-respected units in the Special Forces community (until the Glock 19 recently spoiled the fun). Because it was first manufactured prior to the 1990 reunification of West Germany and East Germany, the P226 and other early models of SIG’s classic P-Series pistols (such as the P220, P225, and P228) displayed “Made in W. Germany” stamped in their slides as the country of origin. These West German P226 pistols tend to be sought after by hard-core SIG fans and collectors. As to whether or not the differences between the West German guns and later Sigs (made in simply “Germany” or in Exeter, New Hampshire) are truly worth a premium is a matter of some debate, and a discussion better left for another article. We’ve got more important things to talk about today! If you’re unfamiliar with the differences between the West German P226 and later models, you should watch my SIG P226 Head to Head Comparison video before proceeding. Or, if you’re considering picking up your own West German SIG, you might want to watch my brief SIG P226 Pre-Purchase Inspection video. Where do I land in the debate? Let’s just say that West German SIGs have always held a special place in my heart, and whenever I come across one in at least halfway-decent condition at a gun store (or more often… a pawn shop), they have a nasty habit of following me home. I own a number of classic P-Series SIGs (including P226s, P220s, and P229s). 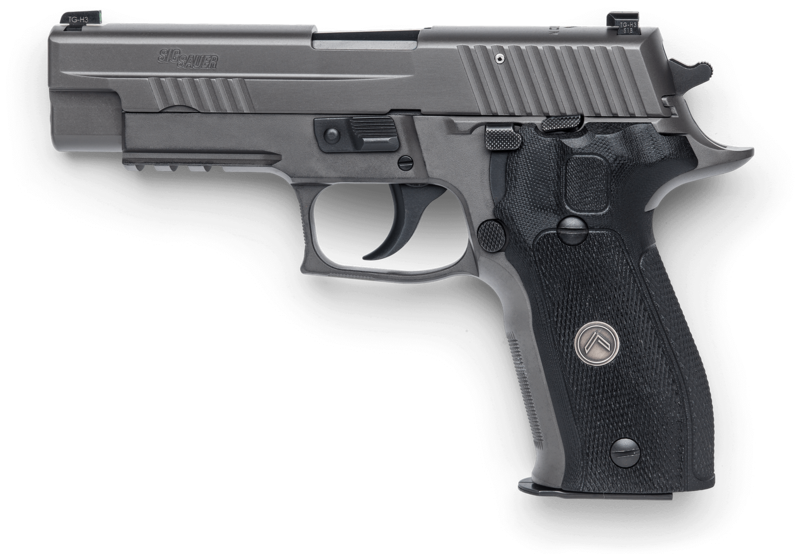 On a recent trip to a local gun store, I got my first glimpse of SIG Sauer’s latest iteration of the P226: the P226 Legion. When I first read SIG’s announcement of the P226 Legion, I’ll admit I was among those who rolled my eyes, believing it was mostly marketing hype; a way to attract wannabe mall-ninjas and the “tacti-cool” crowd into overpaying for a (cough cough) “special” P226, learn the secret handshake, and join the Legionnaire Club. I even jokingly called it “catching Sig Legionnaire’s Disease” in a forum post. But then I made a huge “mistake.” I asked the guy at the gun counter if I could hold it. Hmm… nice. That actually feels kinda nice. Then I dry fired the trigger. Like so many other SIGs that have come into my life, this one also followed me home. And then, I took it to the range. Please serve me up some Kool-Aid. The SIG Sauer P226 Legion is, quite literally, the best shooting DA/SA gun I’ve ever shot. I now proudly have “SIG Legionnaire’s Disease” (apologies to anyone who actually has Legionella Pneumonia – I hope you get well soon). 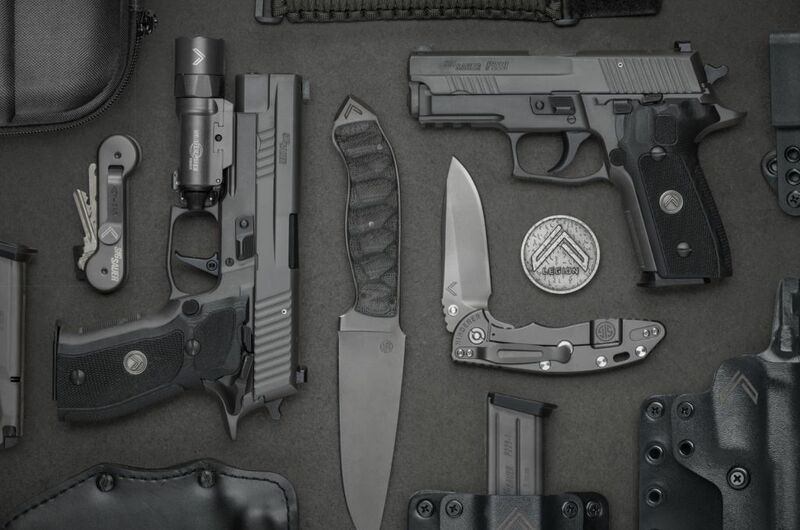 Exactly What Makes the P226 Legion Special? Wanting to understand why the Legion felt so good to shoot, I took it home and (as I do with all guns I buy) immediately took it apart to “look under the hood.” As I mentally compared the differences between this latest P226 and my West German ones (some subtle, some less so), I had the idea to write this article comparing the differences between the “old-school” West German P226 and the “new hotness” P226 Legion, then I’d tally up all the things you’d need to get and do to “upgrade” a West German P226 to come as close as possible to P226 Legion specs. Of course, I put the word “upgrade” in quotes, as some might argue that doing such a thing to a West German P226 is sacrilegious. Rest assured, however, that all but one of these modifications are completely reversible (and that one won’t scare you off). I chose my 1988 “JJ” West German P226 (which I’d classify in “fair to good” condition) as the test bed for all these modifications, and will soon be posting a video on the RGR YouTube channel documenting the process. So for those who love carrying a classic West German P226, but who might be looking to benefit from the last few decades of SIG’s research and technology, this article will show you some options that, at least in the opinion of SIG Sauer, can increase the “shootability” of a P226, based on what they’ve done on the P226 Legion. Feel free to experiment with some or all of these modifications on your own P226, regardless of its vintage. If you have a later P226 (or a special model such as a P226 Elite, Extreme, TacOps, or MK25), you probably already have some of these updates already on-board — so pick the ones that are right for you and consider giving them a try. Standard disclaimer: In the case of some of these modifications, SIG may void your warranty if they are not performed by a certified SIG armorer. I am not a SIG armorer, but I’m comfortable enough to perform all of these mods on my own, and I’ve made a bunch of YouTube videos that can help you. If you’re comfortable attempting these on your own, that’s awesome. If not, that’s also awesome. Find a gunsmith who is, or consider sending your gun to SIG’s Custom Shop. They can perform all these modifications for you at very reasonable prices. Of course, always function check and live-fire check any modified weapon before you even consider betting your life on it. Ready for the first step? Click to the next page and let’s get going! UPDATE: Since writing this article, I’ve compiled a 10-part video series demonstrating the installation of each upgrade step, and will include a link the appropriate video in each section.